As we promised last week, from now until the book’s launch, we’ll be giving you a more detailed sneak peek into the Pioneers of Digital we chose to profile and why their contributions to digital have been so important. 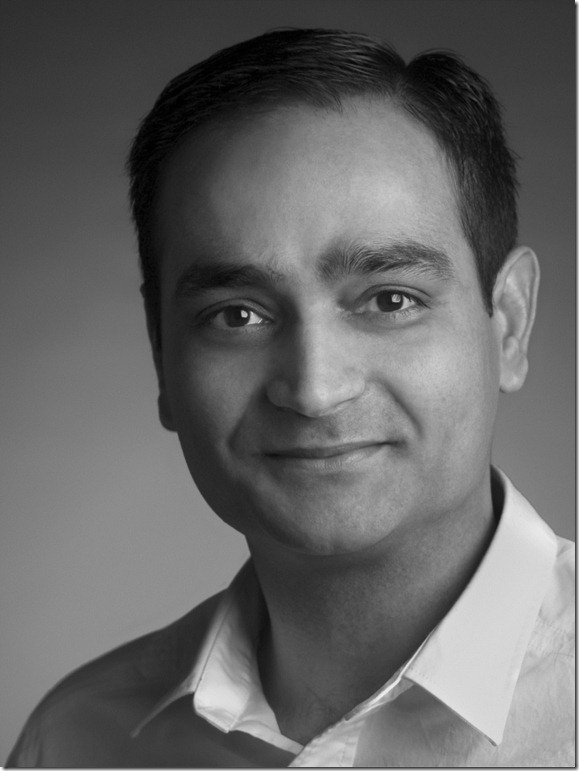 Today we kick off with Avinash Kaushik, Google’s Digital Marketing Evangelist and author of hugely successful books on web analytics and an incredibly helpful blog. One of the best presenters in the business, Avinash has inspired thousands of marketers around the world to grasp the “magnificent opportunity” we all have to succeed in our business goals through digital. In the chapter about him we reveal his colourful career journey from a tiny town in India, via the Middle East to Mountain View and his current role at Google, documenting more than a few hair-raising & “ah-ha” moments along the way! We thank Avinash and Google for letting us tell his story. You’ll enjoy reading it we promise! People know I’m looking for a job right now, so sent me this. Might just give them a whirl. The language is a bit fruity if you’re shy, but I think this will have willing potential employees lining up in droves. Great bit of PR for the company too! Meet the Pioneers of Digital and Pre-Order the Book! This was cross-posted from the Pioneers of Digital Blog. Click to see the updated site! With a little over two months before the book launches in the UK and three before US readers can get their hands on it, we’ve been busy working with the fabulous team at Bronco to update the Pioneers of Digital website and start answering the question we’ve been getting everywhere we go: Who exactly are these Pioneers? If you click through to the homepage, we’ve added a gallery where you can get a sneak peak as to who we’ve picked to tell their inspiring stories. Between now and the 3rd of October when the physical book is released, we’ll be showcasing each Pioneer one-by-one on our blog, giving you a bit more insight into their background and including an exclusive fact or word of wisdom we gleaned from our interviews with them. In order to make the launch as successful as possible, it’d really help if you could pre-order the book and encourage your friends to do the same. It will be coming out on the Kindle, but we understand that option won’t go live until early September. So please click on the button above to get your copy from your favourite retailer, please share this post either by email or by using the social media buttons, and know that we’re very, very grateful for your support. We can source discounted copies of the book for bulk buys from Kogan Page, so please Contact Us if that’s something you’d like to do! Check back soon for the first deep-dive in our series about the Pioneers and have a great week. P.S. Please share this using the buttons below! 7 years (2555 days) to the day after I walked into Microsoft in London to help launch adCenter back in 2005, I was told this morning that my role has been “eliminated” in a round of lay offs. I’ve been told by HR that it’s fine to talk about my new job search on social networks and my blog as the termination has nothing to do with my performance in the job. So as a true social media aficionado, I’m letting you all know that while I’m sad it’s come to this after creating millions of engagements online, writing thousands of blog posts, interviewing hundreds of industry luminaries and speaking at many, many conferences around the world, I have nothing but fantastic memories of working at Microsoft Advertising – 50 of which I’ll write about and publish here in the next couple of weeks. I’d like to thank all the fabulous colleagues, partners and friends in the industry I’ve met and worked with over the years. It’s been a blast and I can’t wait to see what turns up for me (and you all) next. Obviously I’m now on the hunt for new roles and projects. My book www.PioneersOfDigital.com will keep me busy – but any long term employment leads and suggestions are welcome via my contact form or through Facebook! Lastly, thanks to my wife Ashley for her amazing support throughout the years. Her positiveness, drive and enthusiasm for all the work I’ve created over the years has been an inspiration and really kept me going. And more recently, so has my beautiful daughter Maggie. That’s it for now! The pub beckons…..
Here’s the the next 7 years! Tomorrow I leave for the South of France and the Cannes Lions International Festival of Creativity. It’s a tough job, but someone’s got to do it! It’ll be my fourth year and we have some fabulous interviews set up with the great and the good of the advertising industry. You can follow all our news here: Cannes Lions 2012 and make sure you follow me on Twitter for all the latest from La Croisette! I’ll be sad to leave Ashley and Maggie but the week will go so fast, they’ll be meeting me at Toulouse airport for our summer holiday in no time!